Winter Storm Damage Repair services by Rapid Recovery Service of Fraser assisting in Detroit Metro area. We provide water damage repair services for businesses and homeowners to fix any damage caused by winter storm damage. Our expert staff offers repair services in Southeast Michigan. 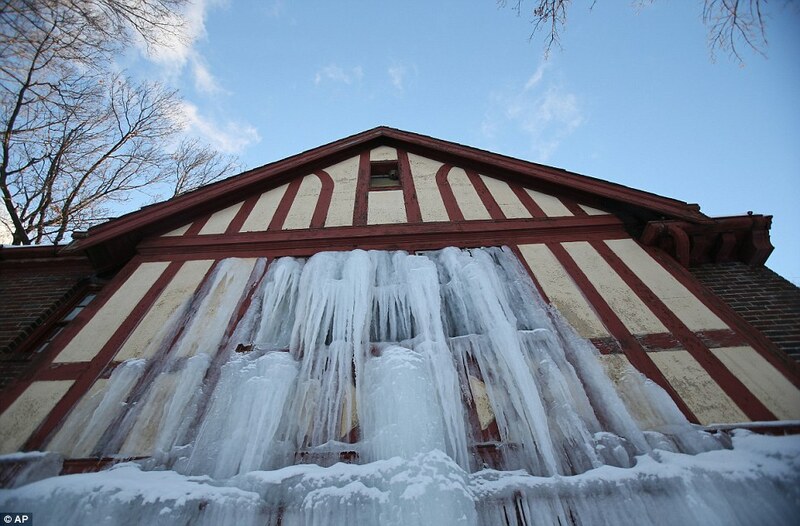 Services provided for people who experience any types of damage including, ice dams, collapsed roofs, frozen and burst pipes. 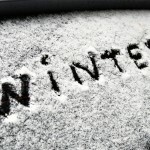 All kinds of winter weather repair services for any kind of water damage as a result of a winter storm. Water Damage Remediation specialists in Fraser, MI, are working with homeowners affected by a winter storm that thrashes the city with snow, ice, power outages and freezing temperatures. 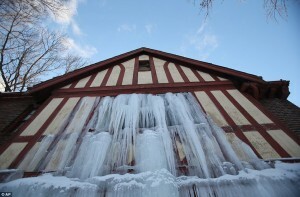 The extended periods of cold causes pipes to freeze and burst. The weather leads to extensive water damages in homes throughout the metro area. Rapid Recovery Service works with homeowners to replace frozen, or broken pipes and repairs the structural or content damages. Water pipes in older homes and businesses throughout the area are in jeopardy of damage. Because less insulation typically was used in older homes and pipes. As a result they are more of a threat than pipes found in homes in newly developed subdivisions. So, in newer homes contractors now insulate more efficiently. In northern areas of Michigan where freezing temperatures are more frequent than in warmer climates, sound insulation is a must. Southeastern Michigan homeowners are advised to drip faucets to avoid burst pipes. When a pipe freezes, the frozen water blocks all water flow which causes a build-up of pressure. This pressure causes the pipe to break. Rapid Recovery Service provides full remediation services. The team includes licensed builders who can repair or replace broken pipes as necessary. The water damage team dries out carpeting, flooring and walls. Depending on the extent of the damage, Rapid Recovery Service will remove and replace ruined carpeting and padding, and will replace damaged drywall in walls and ceilings. Rapid Recovery Service is one of the most experienced water damage restoration teams in the state of Michigan. As a result, the dedicated crew is on call 24 hours a day, 7 days a week. We provide the following services: water damage cleanup, fire damage restoration, smoke and soot cleanup. Also, dehumidification, mold removal, claims inventory service, sewage backup repair, HVAC/air duct cleaning, deodorization, tram cleanup and bio-hazard cleaning. Furthermore, If recent weather has caused water, mold, smoke, or fire damage to your home or business. Call Rapid Recovery Service’s team toll free at 1-888-778-3337.